After the catastrophic earthquake in Nepal that left thousands dead and millions homeless, false news and videos are in circulation to mislead people and create unrest in people living in neighbouring countries. 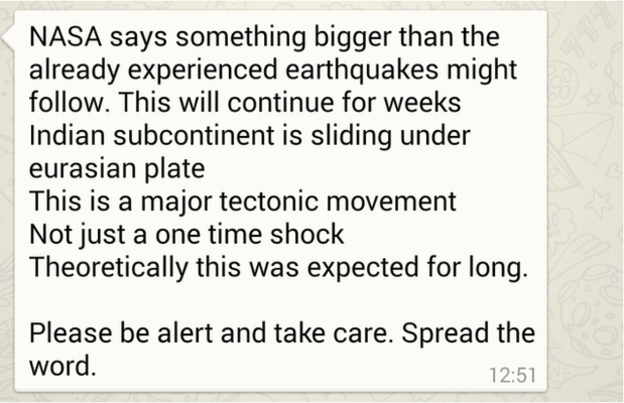 A message falsely attributed to NASA (shown above) and the Indian government warned of earthquakes of higher intensity at specified times and spread panic. In Patna, the capital of Bihar state which reported the most earthquake-related casualties in India, worried people came out on the streets.